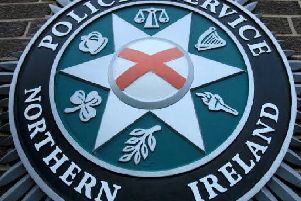 A man suspected of involvement in burglary and possession of an offensive weapon has been arrested in Derry. The 25 year old's arrest follows a disturbance at a house in Osborne Street at around 5.30pm yesterday, Friday, September 28. He has been arrested on suspicion of a number of offences including burglary with intent to cause unlawful damage and possession of an offensive weapon. The male remains in custody at present assisting us with our enquiries.